Those who know little about sleep apnea oftentimes don't know how exactly it relates to changes in blood pressure. 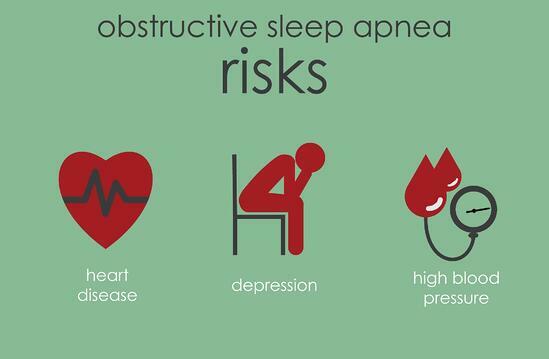 However, sleep apnea can cause a significant and sometimes dangerous increase in blood pressure. Sleep apnea is defined by the National Sleep Foundation as "a sleep disorder in which breathing is briefly and repeatedly interrupted during sleep." Blood pressure is technically defined as the strength of one's blood pushing against the sides of blood vessels (also known as one's systolic blood pressure). If an individual has untreated sleep apnea, there is a much greater chance that he or she may develop high blood pressure. Both sleep apnea and high blood pressure can lead to the development of life-threatening conditions. 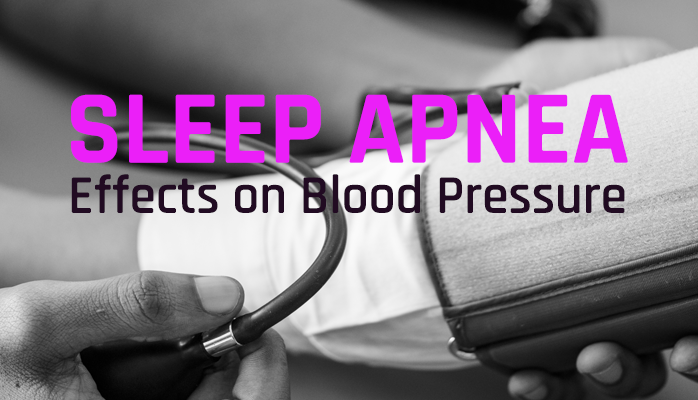 How does Sleep Apnea Impact Blood Pressure? Sleep apnea can play a direct part in affecting an individual's blood pressure due to the pauses in breathing that the person experiences while dozing. If someone is not breathing regularly and well, blood-oxygen levels drop. When blood-oxygen levels drop, an increased strain on the cardiovascular system occurs. When someone enters REM (rapid eve movement) sleep, the individual enters a phase of sleeping wherein eye movements quicken, more dreaming takes place, and the person's pulse and breathing slow down. During REM sleep, if a person who suffers from undiagnosed sleep apnea wakes suddenly and often, adrenaline is released into the bloodstream and blood pressure rises. This rise-and-fall dynamic that occurs in a person who suffers from sleep apnea can be extremely dangerous due to the fact that the heart rate can become continuously irregular throughout the night. This irregularity can lead to the development of heart conditions. In addition, research has found that those who have untreated sleep apnea have higher levels of adrenaline during waking hours. Higher levels of adrenaline coincide with higher levels of resting blood pressure. The link between sleep apnea and the development of high blood pressure has been established. What potential risks, therefore, does an individual with untreated sleep apnea face if he or she also develops high blood pressure? Most people become aware of high blood pressure after seeing their doctor at a routine check-up. The rule of thumb number for high blood pressure is 130. If someone has a blood pressure higher than 130, he or she likely has a heart and blood vessels that are under strain. The American Heart Association explains: "The primary way that high blood pressure causes harm is by increasing the workload of the heart and blood vessels - making them work harder and less efficiently. Over time, the force and friction of high blood pressure damages the delicate tissues inside the arteries. In turn, LDL (bad) cholesterol forms plaque along tiny tears in the artery walls, signifying the start of atherosclerosis (when plaque, or fatty deposits, clog arteries)." Clearly, it is of the utmost importance that an individual with sleep apnea and/or high blood pressure seeks treatment before any of these conditions develop. The first step towards preventing the development of these life-threatening conditions is to treat the underlying condition of sleep apnea. If someone has developed high blood pressure because of their sleep apnea, treating sleep apnea first will eradicate symptoms for both disorders. Fortunately for those who suffer from sleep apnea, a report by Spanish researchers have found that people with sleep apnea and high blood pressure may see high blood pressure drop of they use CPAP (continuous positive airway pressure) therapy. In this study, patients with sleep apnea who used a CPAP device for 12 weeks effectively reduced their diastolic blood pressure. They also saw improvements in their blood pressure averages at night. Since we know that seeking treatment for sleep apnea will prevent and/or improve high blood pressure in those who are currently untreated, individuals who suspect that they may have a sleep disorder are encouraged to seek treatment immediately. At the Anchorage Sleep Center, sleep specialists are equipped to diagnose and assist those who could be well on their way to developing dangerous conditions caused by sleep apnea and high blood pressure. To schedule a consultation and learn more about treatment options such as CPAP therapy, contact us by writing us a message or via email at info@ancsleep.com. We look forward to helping you reduce your risk of developing dangerous health conditions and improving your sleep.